Ask Amanda: What is Kitchener stitch? You won’t come across it in every knitting pattern, but sometimes it’s necessary to join together two sections of “live” stitches in your knitting. This process is often called grafting or Kitchener stitch, and though it might sound intimidating at first, it’s easy to master. 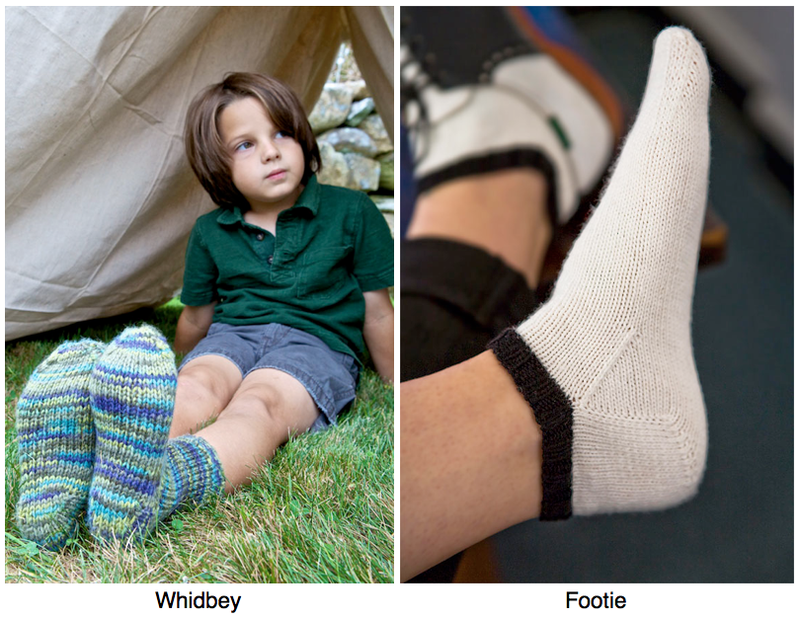 The toe of a sock is the place you’re most likely to run into Kitchener stitch. Nobody wants a big bulky seam running across the toe of their sock, so instead of binding off and seaming, you can use Kitchener stitch to join the two ends together seamlessly, forming a smooth, comfortable toe. You’ll see this technique used in patterns like Whidbey and Footie. Kitchener stitch can also pop up in other situations, though it’s less frequent. We sometimes use it for scarves when we want both ends to be worked from the same direction, like in Goelet. 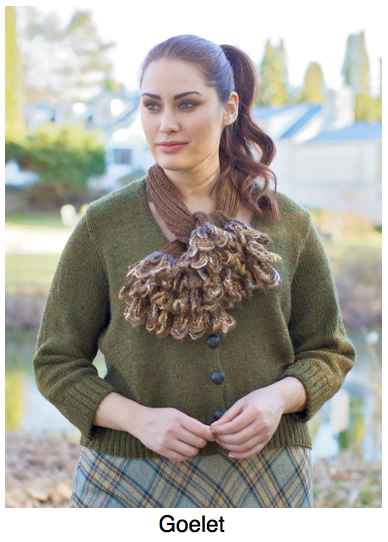 With this scarf, we wanted the ruffles to cascade down from both ends. This couldn’t be achieved without working both ends separately, so we joined them with Kitchener stitch at the back of the neck to avoid a seam. With a little practice, you’ll be able to confidently work the Kitchener stitch any time it’s necessary. Thank you, thank you, thank you!!!!! I have always struggled with grafting. Your how-to makes it so clear. Great – I’m so glad it helps! Great video. Easy to see the steps involved. Thank you. Excellent! I finally understood the technique! Great video!